Another delicious recipe from the Ultimate Reset has been made. I have made this round of the Reset a bit easier on myself by repeating more meals – mostly breakfast and lunches. I am still trying out as many of the dinner recipes as I can to keep things interesting, but this recipe deserved to doubled. Actually, I doubled the double. It was super easy too! 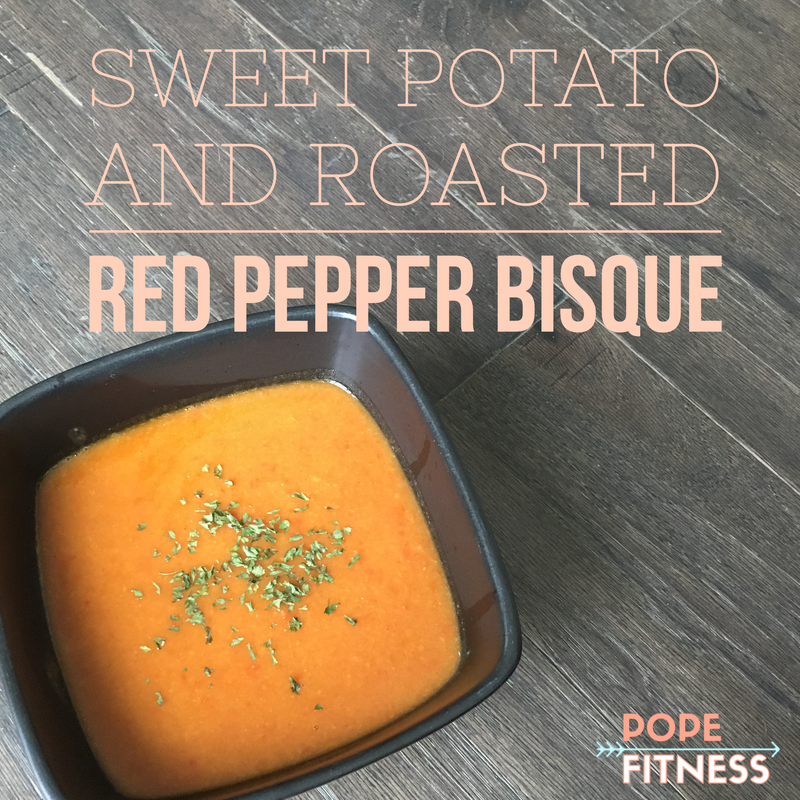 Bring water to boil, add sweet potato and cook for 5-7 minutes until soft. Drain and set aside. Roast bell pepper on grill or gas stove until evenly charred. Place in a medium bowl and cover with a towel for 10 minutes. Peel skin under running water, remove seeds and chop into 1/2″ cubes. Place all ingredients in a food processor or blender and blend until smooth. Add water if consistency is too thick. Heat in saucepan when ready to eat. Add Bragg Liquid Aminos and seasoning blend if desired. Those are the official directions. I changed it up a bit when constructing it. I baked my sweet potatoes the night before so they have that yummy baked flavor. Plus, I baked a few extras for later in the week. Also, I broiled my peppers in the oven in lieu of using the grill or stovetop. I gave it a quick taste before I packed it up for the week. I cannot wait to crack it open for lunch today!